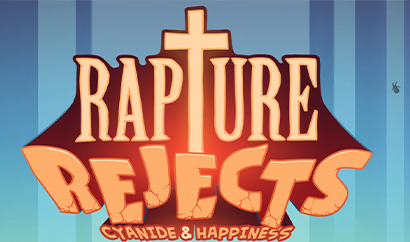 Developed by Galvanic and Explosm, Rapture Rejects is a massively-multiplayer battle royale top-down video game, available for the Windows operating systems and published by tinyBuild. 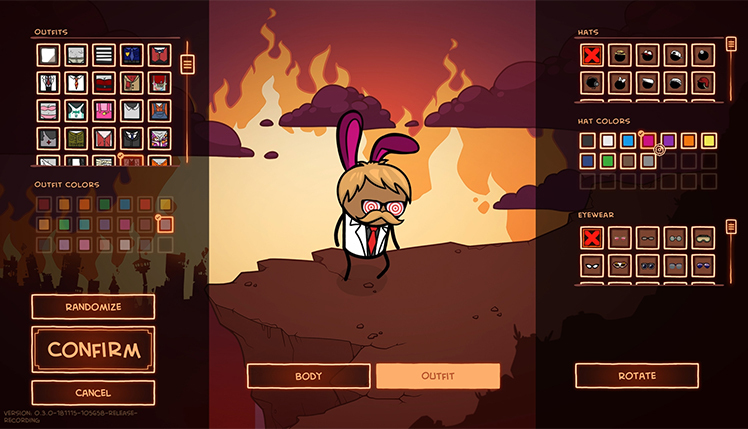 The game is set in the apocalyptic Cyanide & Happiness universe. The Rapture has happened! You didn’t make the cut to go to Heaven, so you must arm and defend yourself against the other rejects. Scavenge for weapons such as a toaster full of knives or a CD launcher and prepare to fight to the death in order to impress God and earn the only ticket to paradise! 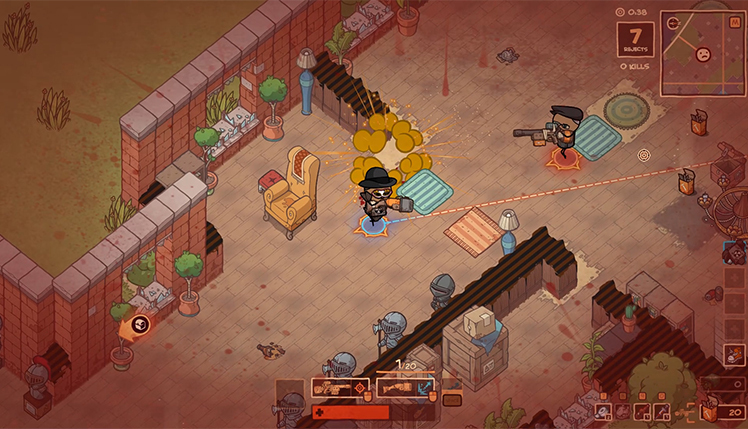 Rapture Rejects is a Battle Royale top-down view last man standing action game. Fifty players drop on to the battlefield only left to scavenge for weapons and resources. However, only one will be left standing and only one will go to Heaven. As you fight for life the world around you shrinks leaving behind fire and brimstone. Unfortunately, if you get caught outside the boundaries you die. 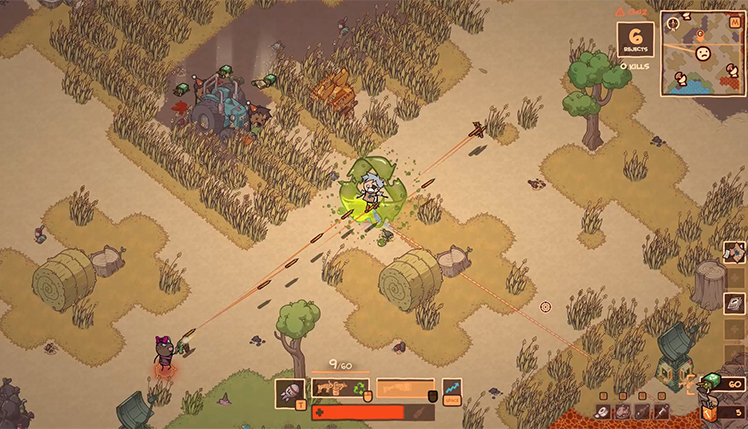 Additionally, If staying within the shrinking boundaries wasn't enough you will need to fight off the other players while maintaining your health. Updates will be added frequently such as new weapons, events maps, and character customization. Also, keep tabs on new and interesting additions to the game via the Galvanic Games Discord or their active Twitter feed. Finally, It takes fast reflexes, survival skills and a whole lot of smarts to become the chosen one. Now, help prepare the world for the final holy rapture. 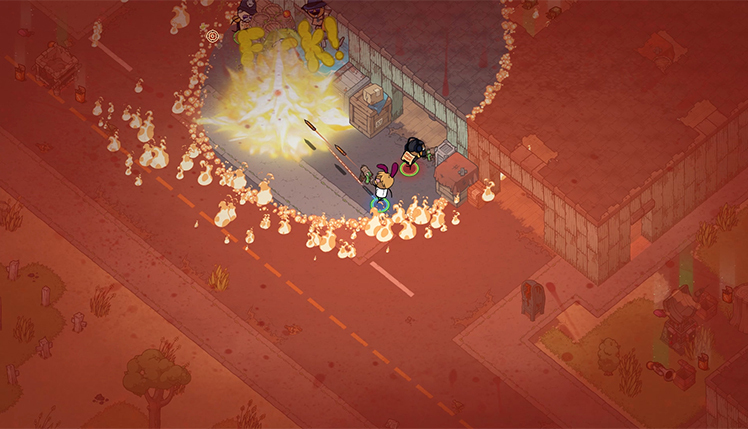 Rapture Rejects is a top-down isometric last man standing game set in the apocalyptic cyanide & happiness universe. © 2018, Galvanic Games. 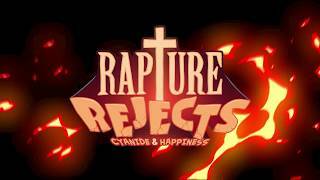 Galvanic Games logo, Rapture Rejects, the Rapture Rejects logo, are trademarks or registered trademarks of Galvanic Games. in the United States of America and elsewhere. All rights reserved.